Shu-Cheen is one of Australia’s most delightful and sought-after sopranos. A multi-award winning international star, she brings to every performance a captivating presence that can move an audience to tears and then, within seconds, have them laughing like a child. 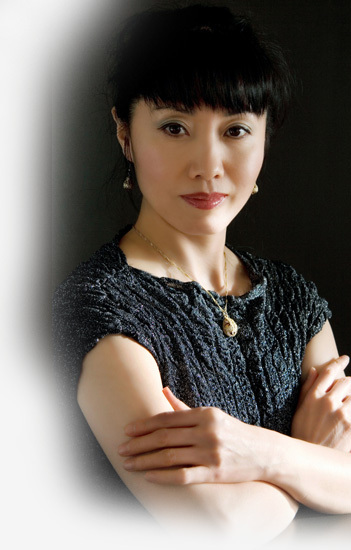 Her vast repertoire starts with opera, oratorio, lieder, Chinese Folk and Art Songs, oriental folk songs and extends right through to popular musical theatre such as Andrew Lloyd-Webber and Gershwin. Would You like To See Shu-Cheen Perform At Your Next Event? A performance by Shu-Cheen Yu will add a level of glamour and sophistication that will exceed your expectations and thrill you beyond your imagination. She is without question one of Australia’s most versatile performers. Her astonishing talent for bringing audiences together in a celebration of song combined with her vibrant personality ensures every performance is joyous, uplifting and entertaining. Her unique talent guarantees your event – be it a concert, a grand wedding or an intimate dinner for valued clients – will be an outstanding success. You can now book this highly awarded opera singer, for your next function or corporate event. Depending on your needs and wishes, this talented and versatile soprano singer can perform A Capella, solo or with a choir, accompanied by piano, strings, full orchestra or with orchestral backing tracks. These CDs include Western operatic arias, art songs, Chinese folk and art songs as well as Asian folk and art songs. You can purchase her CDs in the webshop or hear her sing here.